Home Real Estate News How far does $1 million go in Sydney and Melbourne? While housing affordability continues to be an issue for those buying in the Sydney and Melbourne property markets, at least $1 million can buy you more than a single bedroom. According to The Wealth Report 2019 by Knight Frank, US$1 million will only buy you 16 square metres (or the equivalent of one bedroom) of luxury internal floor space in Monaco, making it the most expensive city in the world. You won’t be able to buy much more in Hong Kong, the second most expensive city in the world, where US$1 million will buy you 22 sqm of accommodation. In New York and London you can 31 sqm for the same price. But what about Sydney and Melbourne? You can get a fair bit more space for the same price in Australia it seems. Sydney ranked ninth on the global list with $US1 million buying 52 sqm of property, while Melbourne came in at 15th place with 97 sqm. A decade ago $US1 million could buy you 86 sqm in Sydney and 155 sqm of space in Melbourne. As for Brisbane, you could snap up 123 sqm of space for US$1 million in 2018, down from 160 sqm in 2008. On the Gold Coast US$1 million could get you 136 sqm at the end of 2018, compared to 173 sqm in 2008. You can buy more in Perth now than a decade ago however, with the report showing an increase in the amount of space US$1 million can buy — from 109 sqm in 2008 to 116 sqm as at December 2018. According to Deborah Cullen, partner and head of prestige residential Australia at Knight Frank: “While this only represents seven additional sqm of space, it presents an opportunity for buyers in the luxury residential space given at the height of the decade-long resources boom in June 2011 only 71 sqm could be purchased with US$1 million. 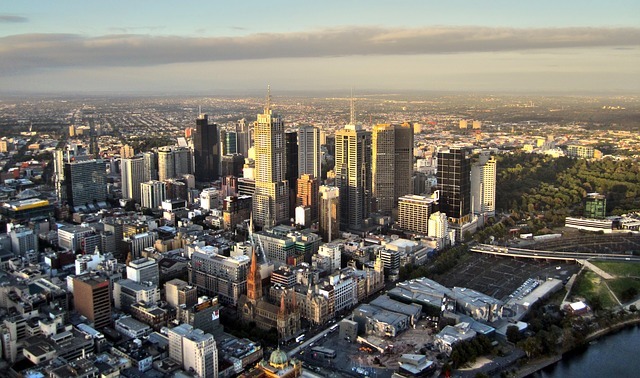 The report also found that currency fluctuations may be making Australian cities more appealing to foreign investors, with prices 7% cheaper for those buying using the US dollar. How much square space can you buy in the world’s most expensive cities?